There’s a popular new trend when it comes to traveling and vacations! More and more people are extending invitations to extended family members and taking trips together! Multi-generational travel gives families a chance to bond through shared experiences that suit all ages. Some of our most cherished childhood memories share a common theme: family. Bring your family to New Ulm and experience Germany in Minnesota! Leave with new friends and knowledge, some great experiences and memories to last your lifetime! Fishing is a favorite past time among many and a great family activity. 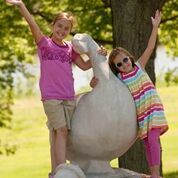 Stop by Riverside Park along the Minnesota River and meet Gertie the Goose – the unofficial mascot of the area that locals call “Goosetown.” Fish right from the shore where riverboats docked years ago. Children can play on the pirate ship playground, shoot hoops on the basketball court, and the whole family can all stop into the Riverside History & Nature Center for hands-on education & history about the river. For a more active family, check out our skate park for jumps, or take a ride along the bike trail, a former railroad bed that’s now part of a paved, 13-mile regional trail that loops around the city. You’ll also want to check out Flandrau State Park. You can spend all day or weekend here! There’s trails to walk or bike on, or to cross-country ski if you come during the winter! In the summer this is the spot to fire up one of their grills, get a volleyball game going and let the young ones swim in the man-made sand bottom pool! 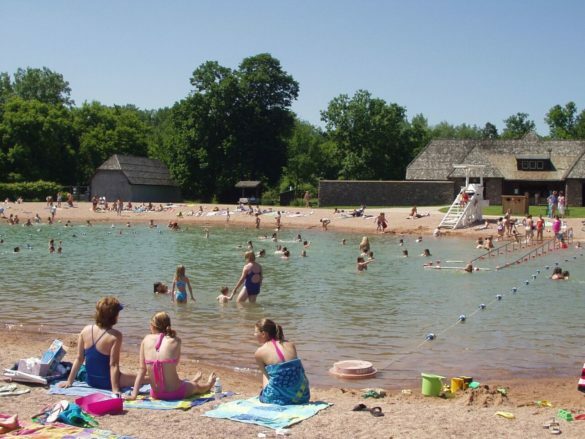 Walk, bike, swim or camp, just be sure you don’t forget to check out Flandrau State Park! When you think you’re running out of ideas for family fun, stop by the New Ulm Area Chamber & Visitors Center downtown for a walking tour that guides you through historic downtown. Learn what happened here in New Ulm more than a century ago! Pick up some souvenirs along the way as you walk by all New Ulm’s specialty shops! Just be sure you make it out of downtown to the south end of Minnesota street and stop in at Domeier’s German Store for some German chocolate and other neat German-themed merchandise. Expose the kids’ tastebuds to something different with some German cuisine! Stop into Veigel’s Kaiserhoff for Wiener Schnitzel & German potato salad, or try a Schnitzel Sandwich and Rueben balls at the Rathskeller in Turner Hall. Taste some German culture right here in New Ulm! 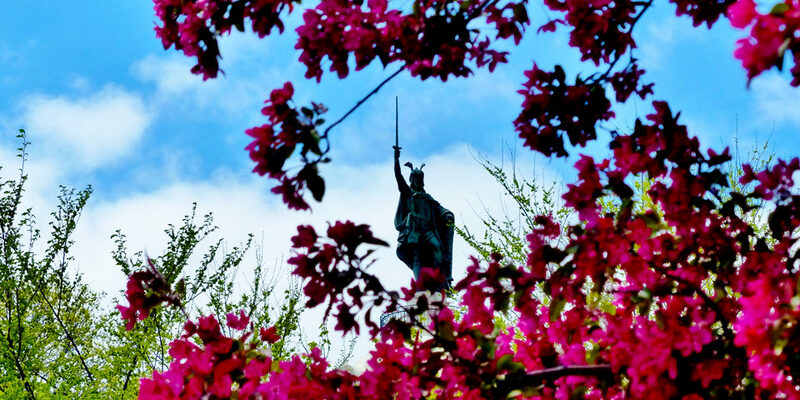 Take in the uncovered and restored murals of Germany, Switzerland and Italy that had been covered during World War I as you eat at the Rathskeller. Picky eater in the family? Kaiserhoff is well known for their delicious ribs as well (and there’s always the kid’s menu…). 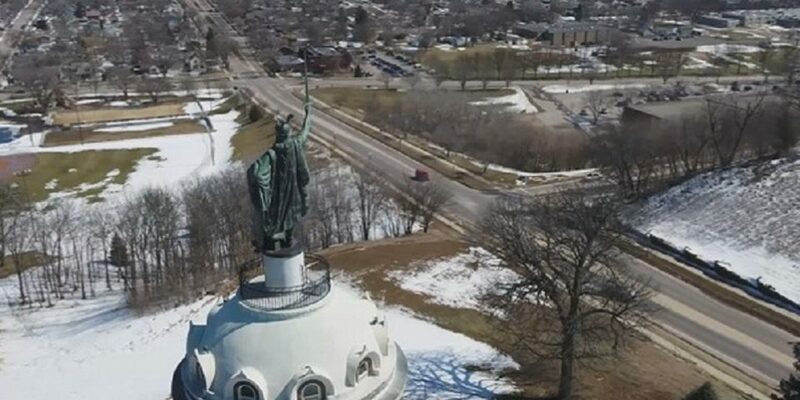 After you fill up and re-fuel, burn off those carbs and calories with a 99-step climb to the top of our Hermann the German Monument! 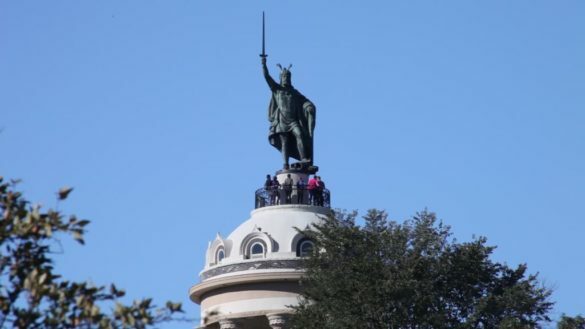 At the top you’re rewarded with a panoramic view overlooking New Ulm and the Minnesota River Valley. Located in Hermann Heights Park, there is also a new inclusive playground for children to get rid of some energy. Got some music enthusiasts in your family? Then you must stop by the Minnesota Music Hall of Fame! Hand-held listening devices will guide you through all genres of music important to Minnesota’s History. From Whoopee John, Judy Garland, to Bob Dylan, Prince and more! 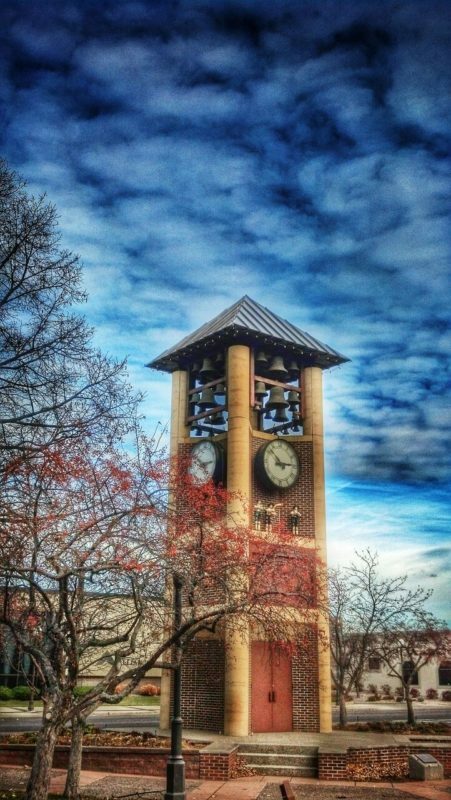 Stop by the Glockenspiel and watch small figurines from New Ulm “perform” from inside this 45-foot freestanding carillon. It’s one of few of its size in the world! Fun for the whole family! It’s big, and it’s loud and plays 3 times each day (noon, 3pm, and 5pm)! Before you leave town, a trip to August Schell’s Brewery is a MUST! 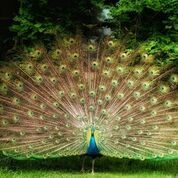 Come face-to-feather with real peacocks, watch the deer frolic in the deer garden, have the kids find all the gnomes hiding throughout the beautiful Brewery Gardens, and see the August Schell Mansion. If you choose to, hop onto a one-hour tour through the old brewhouse, see the modern production of today and don’t forget to stick with the group when they visit the tap room. The tours and brewery are kid-friendly! After the tour enjoy free samples of their award-winning craft beers and let the kids try their famous 1919 Root beer, also brewed on-site! Stop in the gift shop on your way out and get yourself some souvenirs to remember your trip. New Ulm, where there’s really something for everyone! Plan your family trip to New Ulm today! Check out more themed itineraries here.